Correcting the phasing made it more solid and upfront. 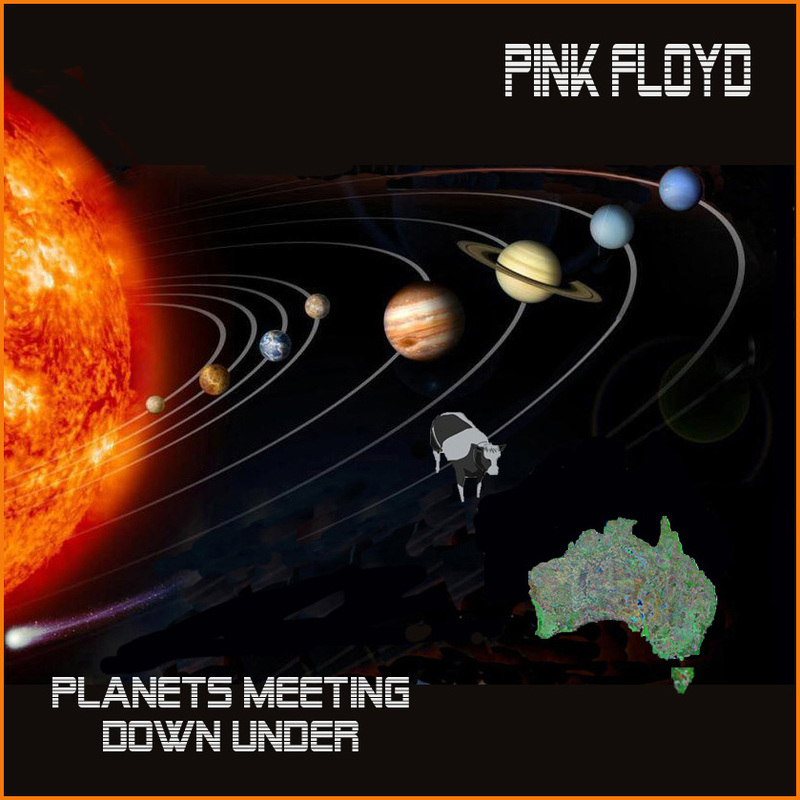 "Planets Meeting Down Under (LPP)"
Discovered the entire show was phase shifted. It varied a bit increasing gradually til the end. Correcting the phasing made it more solid and bit more upfront. Also removed about 25 of the prominent pops, tics and mic bumps as well as a few small gaps within the show, and trimmed more from the end and beginning. It was a little left channel weighted, perhaps from azimuth misalignment along the way. Increased the gain of the right channel as well as targeted modifications throughout. After modifications, the peak level changed from 85% on the SC-E version to 70% on this version. Some notes related to my previous modifications included below the track list. Artwork included. ***Previous Modifications Notes***  "PF19710813 Karmamania's 1st Gen SC-E"
Speed corrected to within 0.1% of the R&D 4th gen version "Dream Dimension" and moved "Set The Controls" to its proper position. I cut only dead air, no content when the recorder was recording. Also, this recording was at a very low level perhaps since it was transferred many years ago with an old sound card. Its peak level was at 34%, so I increased the gain/normalized to a peal level of 85% or +8db. A couple other things to note. There was a section repeated on the original shn file. Approximately 52:07 - 54:08 (after STC) was repeated from roughly 78:46 - 80:47 (Before Cymbaline). Also, its appears that the following audience/tuning segments on "Dream Dimensions" are missing from the original shn file. 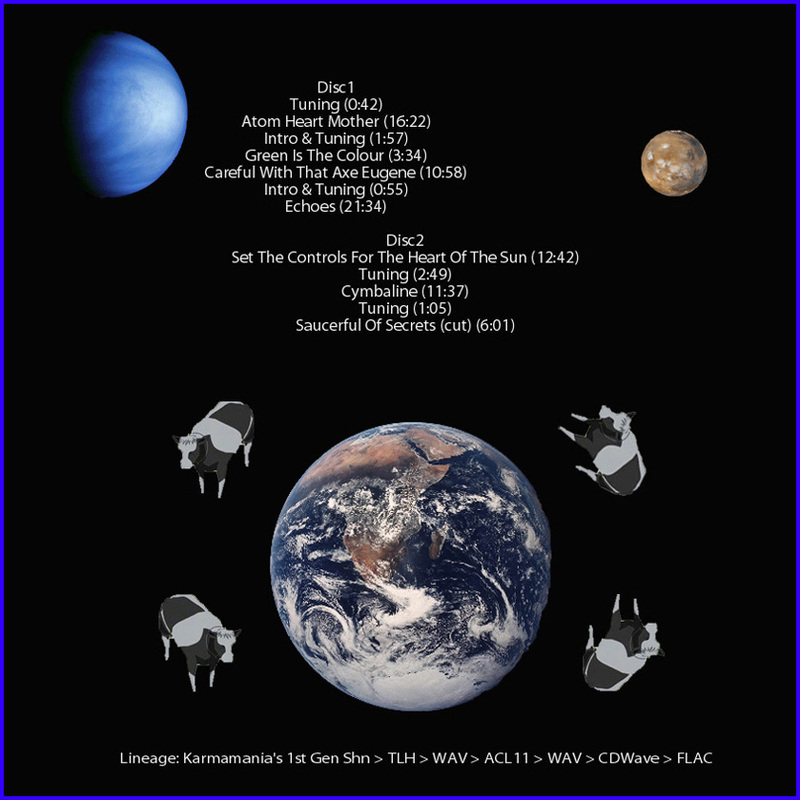 "Dream Dimension" D1T6 (pre-Echoes) 0:35 - 1:23 and D1T8 (Pre-STC) 0:29 - 1:47. Also, at the very beginning of the shn file a segment of the audience/intro was repeated as if a false start during the transfer. There was also a 8-10 second mystery segment in this section as well. Eventually the transfer started and continued normally. 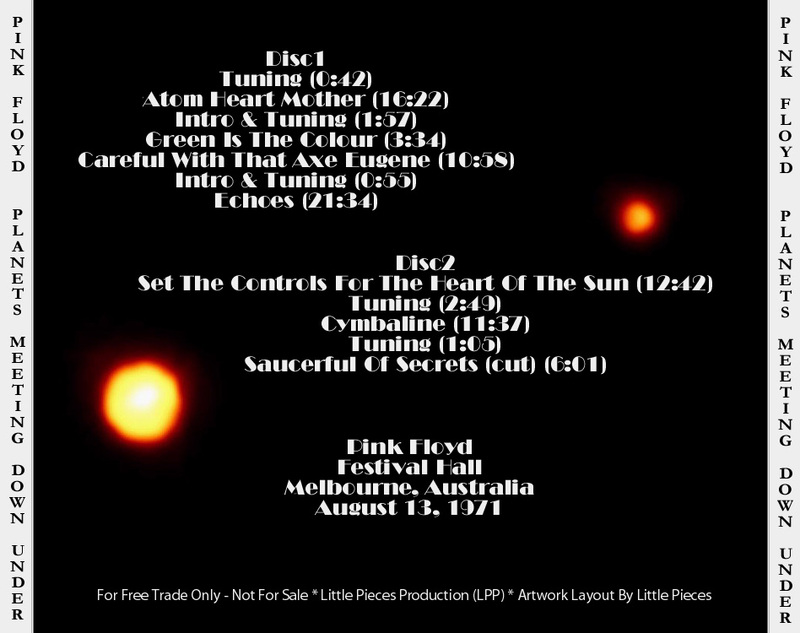 After SOS at the very end there was a 8-10 tuning segment probably from the artist Karmamania mentioned in his notes. None of this is really surprising since Karmamania said in his notes, "This was a work in progress copy and of course in the future it will need to be done again but here it is now.......Overall definitely sounds slow....."